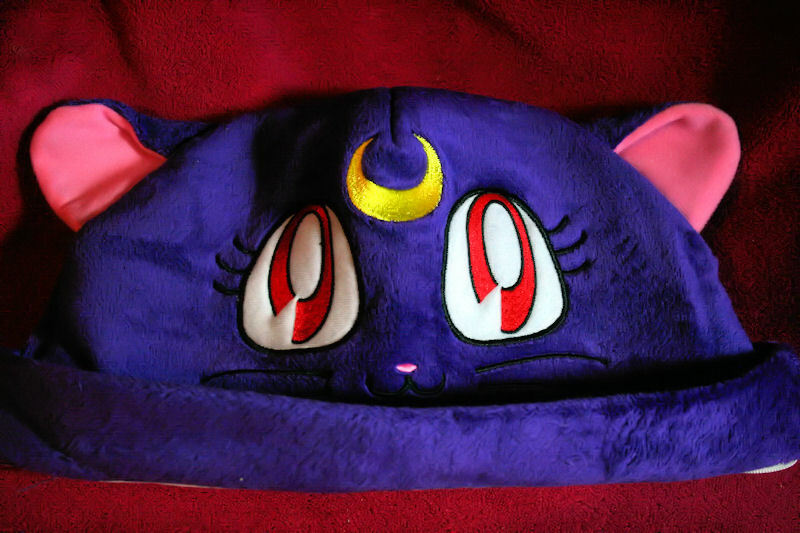 Cat Hats – MoonFigures Collection, Art, and Reviews! I love these hats. 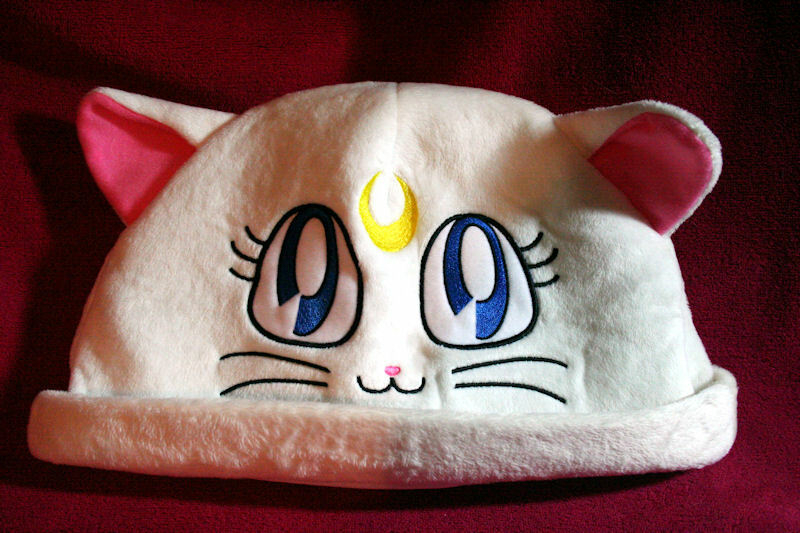 They’re absolutely adorable, REALLY warm, and grab a lot of attention from fans at conventions who normally wouldn’t notice the random character hats in the vendors. My only qualm is that Luna tends to roll and show the white liner on the inside. That can easily be fixed by ironing her. And yes… Artemis looks like a girl. The same pattern was used on both faces, but despite that, both are obviously identifiable.